The IBM InfoPrint 4247-V03 is designed for high output performance in demanding print environments. Prints up to 1100 cps. 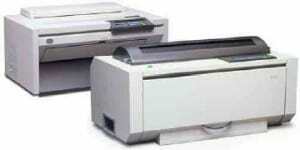 A fast and flexible multiform printer. The IBM InfoPrint 4247-V03 can positively contribute to your bottom line. provide professional reliability at attractive prices. With support for both cutsheet and continuous form paper. With print speeds up to 1,100 cps, and durable metal covers, the InfoPrint 4247-V03 is built to handle rigorous industrial applications. Dual front tractors help ensure paper feeding reliability and enable acceptance of a variety of paper thicknesses. And the attention light is visible from a distance, so operators are quickly alerted to any problems. The combination of paper parking, switching and linking can help you maximize your printing options and increase productivity. The all-points-addressable graphics capability enables applications to print bar codes, scanned logos and more. To enable the migration from legacy coaxial/twinaxial attachments, the integrated Ethernet card supports IPDS and SNMP. To maximize flexibility, pedestal, cabinet or desktop configurations are available, and all optional interface cards for the InfoPrint 4247-003 and InfoPrint 4247-V03 are user installable and switchable. Automatic forms loading, thickness adjustment and selection features make for simple operation of the IBM InfoPrint 4247 printers. The multilingual user-friendly operator panel features a 2×40 LCD display for easy-to-read menus and messages.